The Trump administration on Monday imposed sweeping sanctions on Venezuelan state-owned oil firm PDVSA, aimed at severely curbing the OPEC member's crude exports to the United States and at pressuring socialist President Nicolas Maduro to step down. Minutes before the announcement, Juan Guaido, the Venezuelan opposition leader who proclaimed himself interim president last week with US backing, said congress would name new boards of directors to the company and its US subsidiary, Citgo. 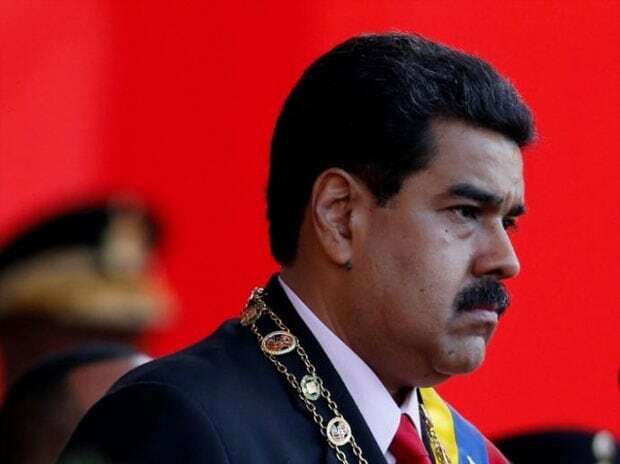 Maduro, in a live national broadcast on Monday, accused the United States of trying to steal US refining arm Citgo Petroleum, the OPEC member's most important foreign asset, which also owns a chain of US gas stations. He said Venezuela would take legal actions in response. Three sources with knowledge of the decision told Reuters that PDVSA had ordered customers with tankers waiting to load Venezuelan crude bound for the United States to prepay for the cargoes or they will not receive authorization to fill the vessels or leave the ports. The Trump administration sanctions stopped short of banning US companies from buying Venezuelan oil, but because the proceeds of such sales will be put in a "blocked account," PDVSA is likely to quickly stop shipping much crude to the United States, its top client. While there are significant exceptions, such as rules that should allow Citgo to keep using Venezuelan crude in US refineries, the sanctions will likely cause some reordering of global oil flows as Venezuela seeks to sell elsewhere. Other exceptions will make it easier for Chevron Corp to keep operating a joint venture in Venezuela, and allow US entities in Venezuela to keep buying PDVSA gasoline. The sanctions, contained in an executive order issued by US President Donald Trump, freeze US-based assets of PDVSA, Venezuela's largest source of revenue. The Trump administration had long held off on targeting Venezuela's vital oil sector for fear that it would hurt US refiners and raise oil prices for Americans. White House officials had also expressed concern about inflicting further hardship on the Venezuelan people. US officials said the sanctions on PDVSA were intended to prevent Maduro's government from siphoning off funds from the oil company to maintain his grip on power. Mnuchin said oil supplies were sufficient to ensure no significant impact on US gas prices in the short term and that the US Treasury Department would issue temporary licenses to permit some transactions with PDVSA. Bolton reiterated that Maduro would be held responsible for the safety of US diplomatic personnel in Venezuela as well as Guaido and other opposition figures. He also not rule out US military intervention, although such action is widely considered to be unlikely. "The president has made it very clear on this matter that all options are on the table," Bolton said.